The frames you create in this quilt are the perfect space to highlight focus fabrics, fabric printed photos, or embroidered pieces. 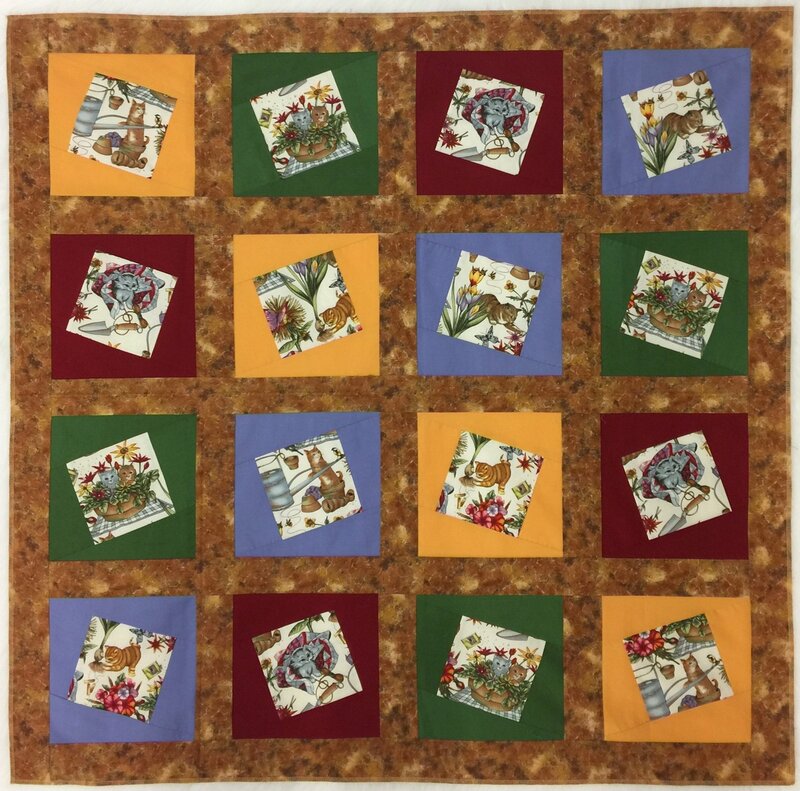 Pick your favorite: cats, dogs, hearts, flowers, seasonal themes, photos for wedding or baby showers, or make it a signature friendship quilt. Show the world what you love with this unique and fanciful quilt design!